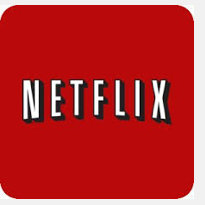 Netflix is the world’s leading internet subscription service for TV programmes and films, with more than 37 million subscribers streaming worldwide. Mute Soundproofing® has been contracted by Netflix to undertake office soundproofing, and as such will design and install a method of reducing echo at their London headquarters to improve office acoustics. This entry was posted on Tuesday, September 24th, 2013 at 5:03 pm	and is filed under Soundproofing News. You can follow any responses to this entry through the RSS 2.0 feed. Both comments and pings are currently closed.